New neighborhoods and communities have been growing in numbers for many years, the landscape on Hilton Head Island remains green and pristine. The well-planned neighborhood developments or plantations as they are called, provide residents on Hilton Head Island well-maintained, often gated communities each designed to offer the flavor of southern charm while highlighting and preserving the beauty of the surrounding landscape. Located at the south end of the Island right before Sea Pines is Shipyard Plantation. A diverse place for residents, visitors and golfers to enjoy all the amenities the plantation has to offer. Golf courses, tennis courts, hiking, jogging and biking trails, a health spa and a great clubhouse for all residents and visitors are just a few of the things Shipyard provides for their guests and permanent residents. 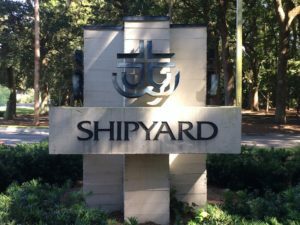 Their “mix and match” style golf, split between three courses and 27 holes of beautifully manicured greenery, is what sets Shipyard apart from the other golfing communities on the Island. The Brigantine, Clipper and Galleon courses all offer different and challenging shots for golfers. Shipyard houses one of the biggest resorts on the Island, the Sonesta Resort. They offer room rentals, villas, suites of any size to help fit any and all vacation rental needs. After crossing the bridge onto Hilton Head Island, the community of Windmill Harbour is visible on the right side of Highway 278, along the Intracoastal Waterway. The community’s premier coastal location has 350 homes and 70 villas, with 80% of them having water views. This 172-acre private community exhibits true southern architecture with its brightly colored homes. Windmill Harbour is home to the South Carolina Yacht Club and a 15.5-acre marina with 260 boat slips and a locked harbor system that serves as a direct link to the Intracoastal Waterway. 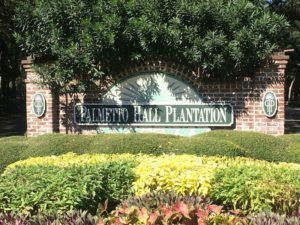 Palmetto Hall Plantation is located at 108 Ft. Howell Dr., Hilton Head Island. Sandwiched between Hilton Head Plantation and Port Royal Plantation Beach House, Palmetto Hall Plantation is one of the smaller, more elite sections of private housing on the Island. Filled with beautiful grandiose homes and 36 holes of scenic golf, Palmetto Hall Plantation caters to those wishing to stay within a private gated community year-round. 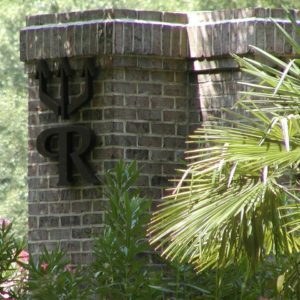 Palmetto Hall does offer wedding packages for their beautiful scenery and Heritage golf packages for those golfers coming to the island to play or watch the RBC Heritage Golf Tournament held every April. In 1956, Charles Fraser developed Sea Pines into the first private plantation community on the island. Sea Pines is one of the largest residential and resort plantations on Hilton Head spanning 5,200 acres. Within Sea Pines are 3839 homes and 2042 villas. The community is most famous for its four championship golf courses, including the Harbour Town Golf Links, home of the PGA Tour’s annual RBC Heritage. Sea Pines is also associated with the world-recognized Harbour Town Marina and its landmark red-and-white-striped lighthouse, built in 1969 to aid boats traveling on the Calibogue Sound. The marina hosts awe-inspiring yachts as large as 115 feet. 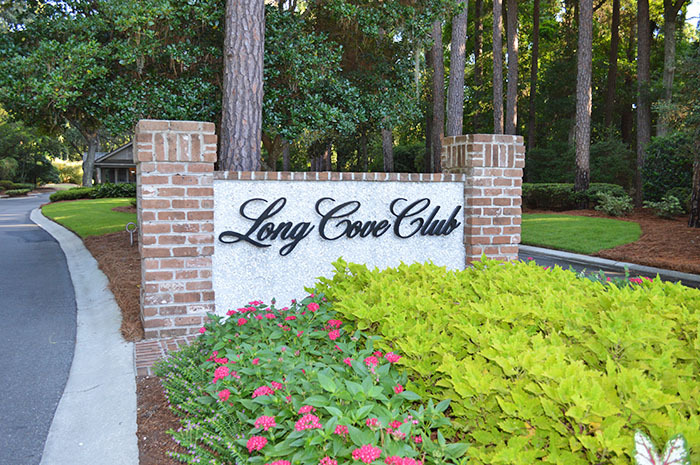 Sea Pines has a lush, 605-acre forest preserve, access to five miles of Atlantic Ocean beaches, over 100 tennis courts, two security gates and numerous swimming pools. It is also the location of the South Beach Racquet Club, Sea Pines Racquet Club, Lawton Stables equestrian center, and restaurants and outdoor activities held at South Beach Marina Village. While secluded, Spanish Wells is more than worth the visit. 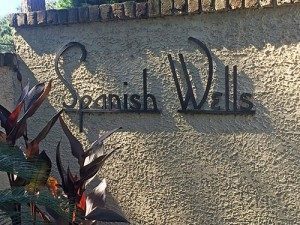 The second smallest community, with 350 acres and only about 200 homeowners, Spanish Wells provides a private secluded place away from all the hubbub that the very center of the Island brings and does not offer vacation rentals or packages for visitors. Being two miles from the Cross Island Bridge, and three miles from the north end, Spanish Wells, while being right on the water, has a central location making it easy to access pretty much anything on the Island in mere minutes. They house two miles of walking and jogging trails as well as Hilton Head’s only waterfront clubhouse complete with a swimming pool and cabana, and a new pro shop and grille. Four Har-Tru tennis courts are lit for night play as well as safety along the nine-hole Cobb golf course with a full practice facility. 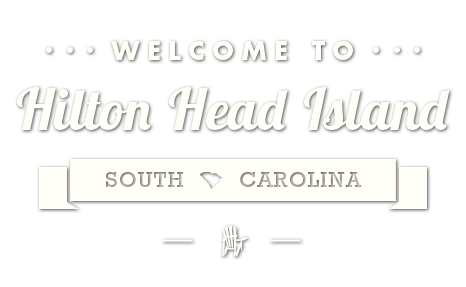 One of Hilton Head’s largest and most age-diverse residential neighborhoods is Hilton Head Plantation. Spread over 4,000 acres between the Intracoastal Waterway and Port Royal Sound, the Plantation has over 4,000 homes and 500 villas. It is home to the Country Club of Hilton Head’s semi-private 18-hole golf course designed by Rees Jones. Jones also designed the plantation’s award-winning Oyster Reef Golf Course and Bear Creek Golf Course. The plantation has a fourth, private course created by Gary Player and Ron Kirby called Dolphin Head. Within the plantation, there is access to two miles of beach, a community recreation center, a shared gardening area, numerous community swimming pools, and tennis courts, Skull Creek marina, and the Old Fort Pub restaurant. Two nature conservancies possess beautiful, lengthy nature trails and boardwalks through woods and marsh. An extensive leisure path system for walking, jogging or biking winds through this beautiful community.